On December 4, 2008 EDWARD WYATT and JORI FINKEL wrote an fascinating article titled Soaring in Art, Museum Trips Over Finances for the New York Times about the current crisis facing the Los Angeles Museum of Contemporary Art. While often framed by the media as a financial crisis, this is really more about the unique challenges of leading in the nonprofit sector and the failed leadership in this institution in particular. The near total lack of outbound communication from Strick or the board on the current crisis is incomprehensible, especially in light of a very public offer of major support by billionaire arts patron Eli Broad. While it’s generally expected and required that nonprofit organizations operate with a higher level of transparency than their commercial counterparts, MOCA continues to play its cards close to the vest. The only public comment that I have read from Director Strick attributes the current crisis to the economic downturn; however, from reading the various press accounts, the issues impacting the museum were long in the making. 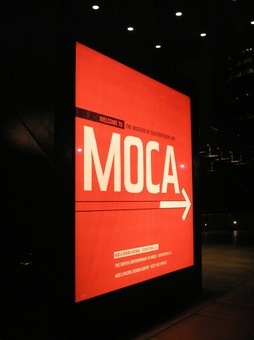 KCRW has a podcast called the Politics of Culture which covered MOCA in Peril� on Dec. 2, 2008. This is must listening for any nonprofit executive or board member. MOCA Mobilization is an independent community group recently formed to support the Museum and its staff. On November 23, 2008 they organized a rally at the museum which was attended by hundreds of interested stakeholders. You can view video from the rally on YouTube and visit their Facebook page which as of this posting had over 3,000 members. Interestingly, neither the director nor more than one or 2 trustees participated. In time of crisis, this was a missed leadership moment. The MOCA story is one of failed leadership, executive and voluntary. Pure and simple.